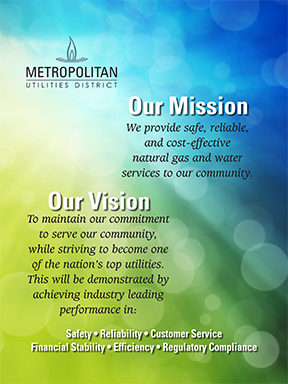 Metropolitan Utilities District (M.U.D.) 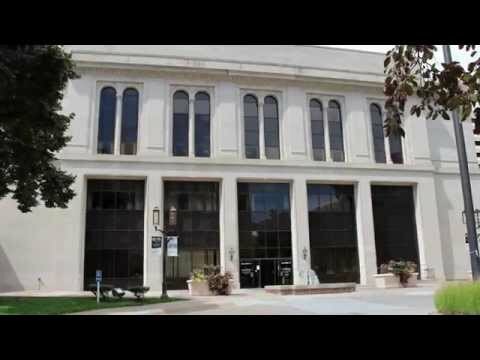 is the only metropolitan utility district in the State of Nebraska. We are a public utility and proud to be customer-owned. Our mission is to provide safe, reliable, and cost-effective natural gas and water services to our community. The District is governed by a board of seven directors, elected by our customer-owners. The board meets the first Wednesday of every month. We have more than 800 employees who live and work in the communities we serve. As the fifth largest public gas utility in the United States, we provide a product and service at rates that are lower than area investor-owned utilities and among the lowest in the Midwest. We serve natural gas to 231,012 customers in Omaha, Bennington, Fort Calhoun, Springfield, Yutan and Bellevue. We also provide safe drinking water to 216,180 customers in Omaha, Bellevue, Bennington, Carter Lake, La Vista, Ralston, Waterloo and the Papio-Missouri Natural Resources District (which supplies water to Fort Calhoun). Our water meets or exceeds all state and federal standards for drinking water. The District owns and operates three water treatment facilities and an extensive water distribution system that is capable of supply potable water in excess of 300 million gallons per day. We also maintain more than 27,000 hydrants for fire protection. In addition to providing natural gas and water to customers in the metro area, we provide a cost-saving service to municipalities by serving as a billing agent for sewer use and trash fees. The Nebraska Legislature created the Metropolitan Utilities District in the early 1900s as a political subdivision of the State to provide water and natural gas to the metropolitan Omaha area. Our first water treatment plant was built near the Missouri River in 1889 by a private company. Omaha received water and gas service from private water and gas companies until the citizens of Omaha became dissatisfied with high costs, constant ownership changes and poor service, and voted to take control and ownership of their utilities. The Legislature created the Metropolitan Water District in 1913. Five years later, state senators authorized the City of Omaha, which had acquired the gas system by condemnation, to assign the responsibility for operation of the gas system to the Metropolitan Water District. The name was changed to the Metropolitan Utilities District on March 3, 1921.